Approximately 1,000 mummy portraits survive from antiquity. 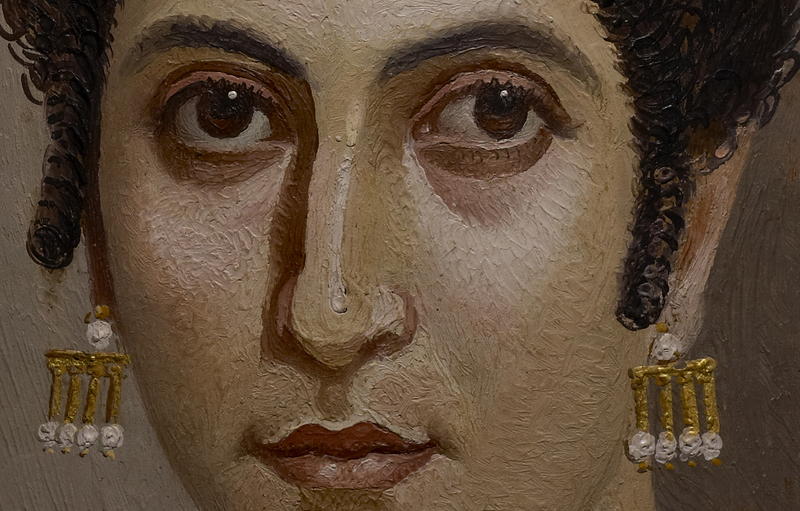 Originally buried with the mummified bodies of the deceased, these ancient paintings bring modern viewers face to face with people who lived in Roman Egypt 2,000 years ago. 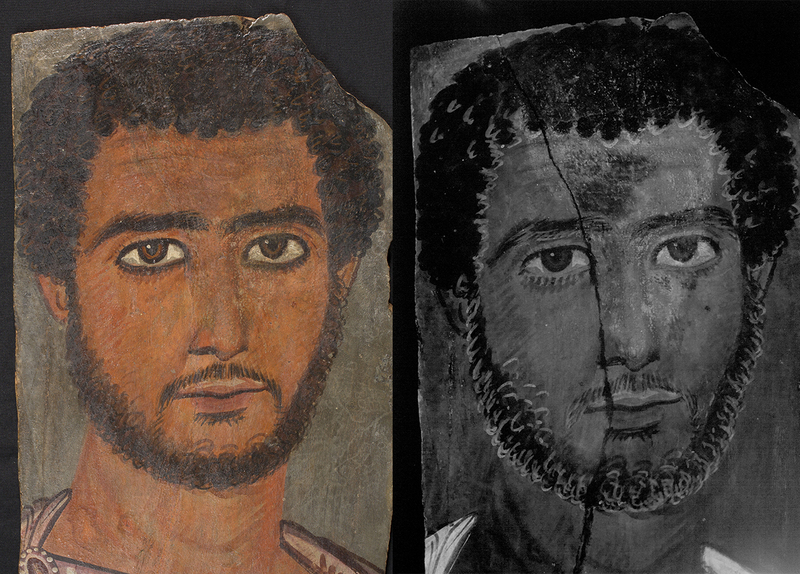 Although Romano-Egyptian funerary portraits are well published, the primary aim of scholarship to date has been to understand the individuals depicted on the panels. Less explored are the physical aspects of the works: Who made them? How did artists’ workshops function? What technologies were used to fabricate these paintings? 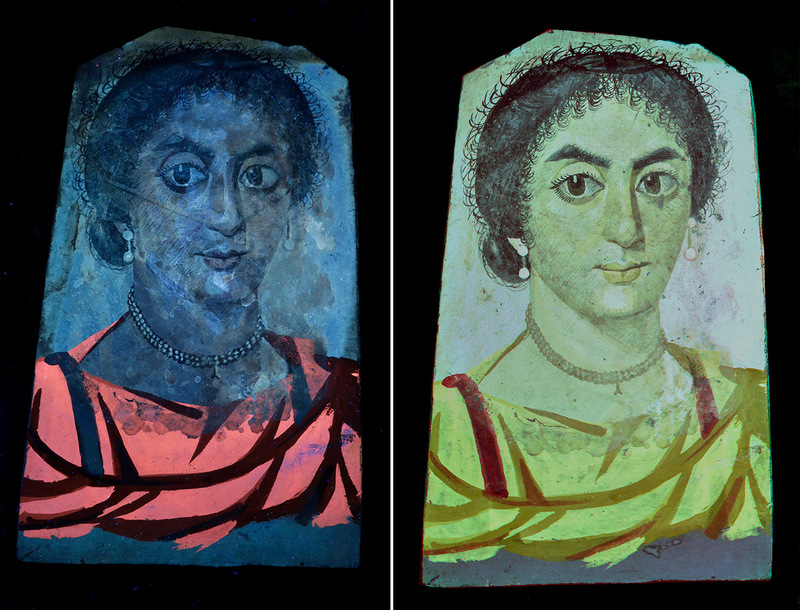 An international collaboration known as APPEAR (Ancient Panel Paintings, Examination, Analysis and Research) launched in 2013 to investigate these questions, and is still going strong. Today fully 35 museums are participating in APPEAR, and have together contributed over 200 entries to a shared project database containing technical, scientific, and historic information on individual portraits. This effort not only promotes comparison of specific artifacts across collections, but also helps to develop a broader understanding of artistic materials and practice in the ancient world. In May 2018 we marked the conclusion of the first phase of APPEAR with a two-day conference at the Getty Villa. Over 100 attendees, including project partners, conservators, scientists, Egyptologists, curators, educators, and enthusiasts of ancient art and technology came together for two days of study. Full conference abstracts are available here; full proceedings will be published next year. The conference began with a keynote lecture by Susan Walker, co-curator of the pivotal 1997 exhibition Ancient Faces: Mummy Portraits from Roman Egypt. This exhibition and its catalogue were significant in introducing the public to these hauntingly beautiful funerary portraits. The first day of presentations and discussions highlighted collaborative research across museums, illuminating the advances that derive from analyzing funerary portraits across institutions and in contrast to other funerary artifacts. Presentations delved into collecting, provenance, and historic archives, and revealed intriguing new approaches, such as a method for examining similarities in facial features within collections. Dealer and export stamps, like those on the reverse of this portrait, can help illuminate the sale and movement of these portraits. 39.025. 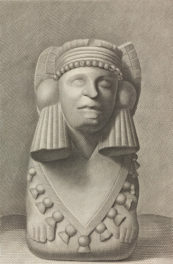 Image courtesy of the RISD Museum, Providence, RI. The second day of presentations focused on the investigation of materials used by the ancient artist and how we can identify them today. 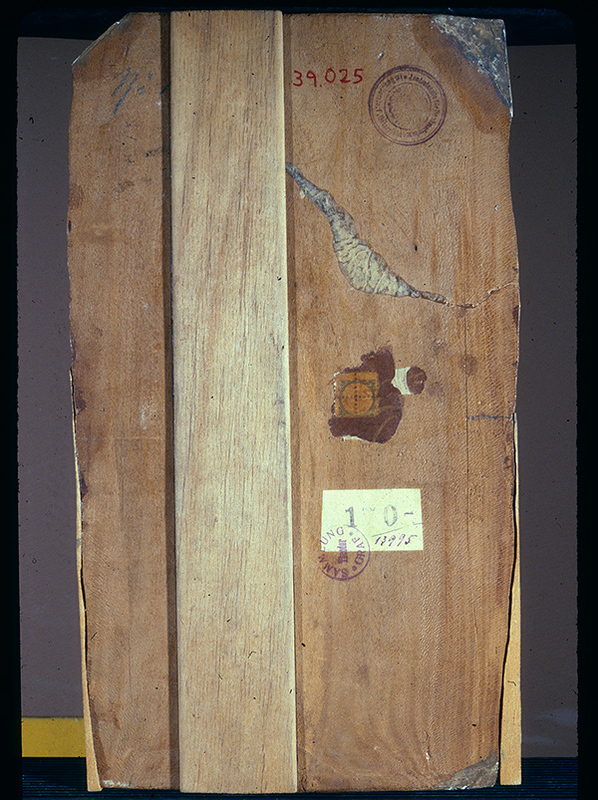 Materials under investigation include both the wooden panels themselves and the colorants used to decorate them, such as madder lake, Egyptian blue, indigo, and a complex palette of green pigments. 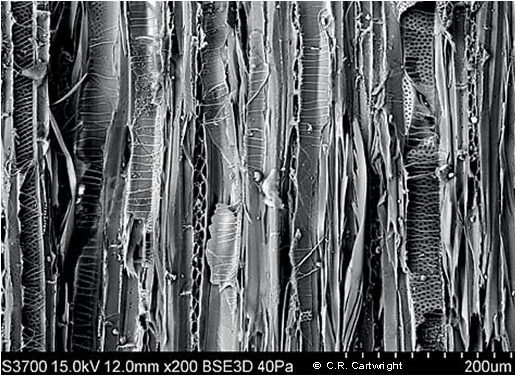 Conservation science techniques, including analytical instrumentation and technical imaging, are offering exciting and innovative directions for non-destructive identification of such materials in mummy portraits. The day ended with a thoughtful presentation on terminology, emphasizing how, through collaborative investigations and the accumulation of new and more accurate data, we may need to rethink how we describe the ancient practices we thought we once knew. A tenet of the APPEAR project is that examining the physical remains of the ancient world provides us with a tangible link to ancient people and their lives. It was exciting to see that promise realized through the cutting-edge work of fellow conservators, art historians, and scientists. Conference attendees went away excited, invigorated, and inspired about the study of ancient painted funerary artifacts and the journey ahead in better understanding them. With the goal of developing a trend for further collaborative research, bridging information, and thinking outside of a bubble, APPEAR has become a model project. 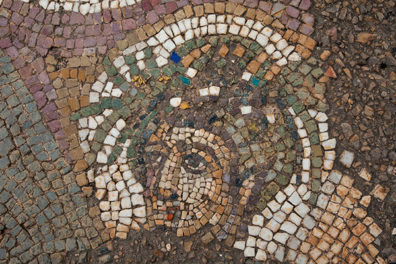 The conference concluded with an overview of the two days by the Getty’s associate curator Mary Louise Hart and the announcement of an exhibition on funerary artifacts and portraiture, proposed for 2021 at the Allard Pierson Museum in Amsterdam, where the next APPEAR conference is proposed to be hosted. Our dedicated APPEAR webpage provides more information on the project, including a bibliography, list of participating institutions, and an image gallery. An overview document that summarizes the statistical information available in the database will be made available in the fall of 2018, and full papers from the conference will be published online by Getty Publications in 2019. Sound like a wonderful conference. Really wish I’d been present.